Anytime you deal with a salesperson, you’ll likely be subject to an attempt to upsell you. The upsell is a sales pitch attempting to get you to buy something more expensive than you originally intended, whether you need it or not. The salesperson doesn’t care about matching you to your needs or your budget, what they care about is their commission or quotas. If you go into a situation where you will deal with a salesperson, unless you’re ready to deal with the upsell pitch, you could end up spending a lot more than you intended, or even worse, more than you can afford. My son and I went into an electronics superstore to upgrade his cell phone. When we told the salesperson what phone we wanted, he immediately switched into upsell mode as the desired phone was not the latest model. We refused his suggestion and moved on. Later, he suggested we add on their protection plan. We firmly declined again and continued on. My son and I had walked into the store knowing exactly what phone we were going to buy, and why. We had done the research and knew the pros and cons of our selection. This goes hand in hand with having a waiting period before making a major purchase. In addition to doing online research, we had visited the store a few days earlier and asked some questions. Then we pondered our decision for a few days, and only then did we go back to the store to make a purchase. There was nothing new the salesperson could tell us to change our mind. You may feel like you need to convince the salesperson as to why you are turning down the upsell. You don’t owe the salesperson any such explanation. Simply say, â€œNo,â€ and if he or she continues the upsell pitch, threaten to walk out. Salespeople can sense indecision and try to exploit it. If you’re going to decline the upsell, do it with conviction and confidence. Otherwise, they’re likely to keep trying. The salesperson upsell is unavoidable. Sometime, somewhere in life, you will experience it, and if you’re unprepared it could end up costing you a pile of cash. But recognizing when it’s going to happen, and being prepared for it will help you walk out of the store with exactly what you intended to buy. 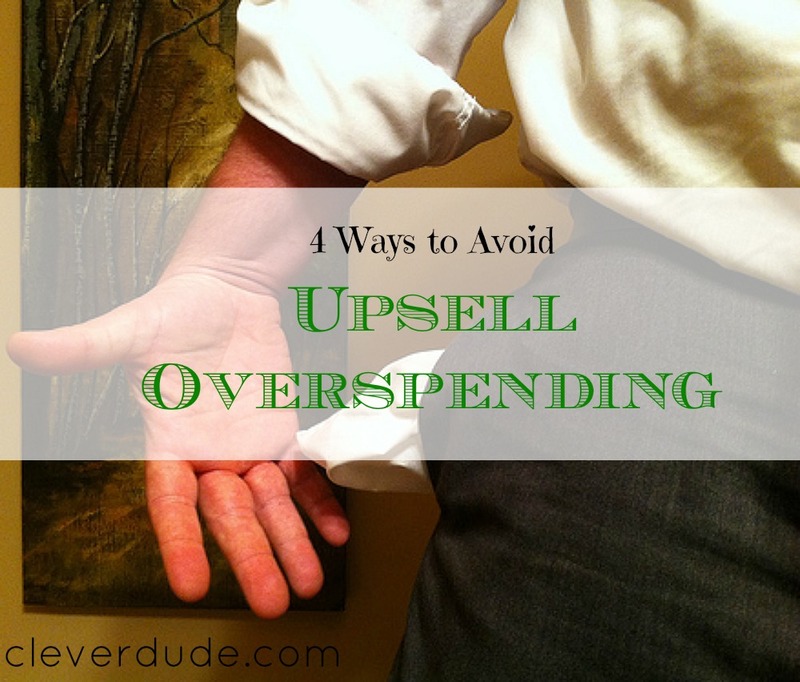 How about you, Clever Friends, when was the last time you had a salesperson try to upsell you?